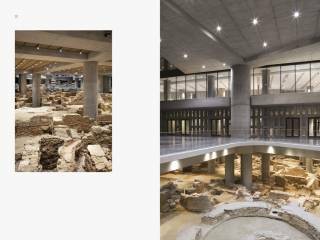 Located in Athens’s historic area of Makryianni,the New Acropolis Museum stands less than 1,000 feet southeast of the Parthenon,at the entrance of a network of pedestrian walkways that link the key archaeological sites and monuments of the Acropolis.This location was carefully selected to enable a dialogue between the Museum's exhibition spaces and the Acropolis buildings. 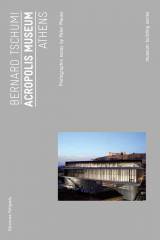 Tschumi won the commission in 2001 as the result of a design competition. 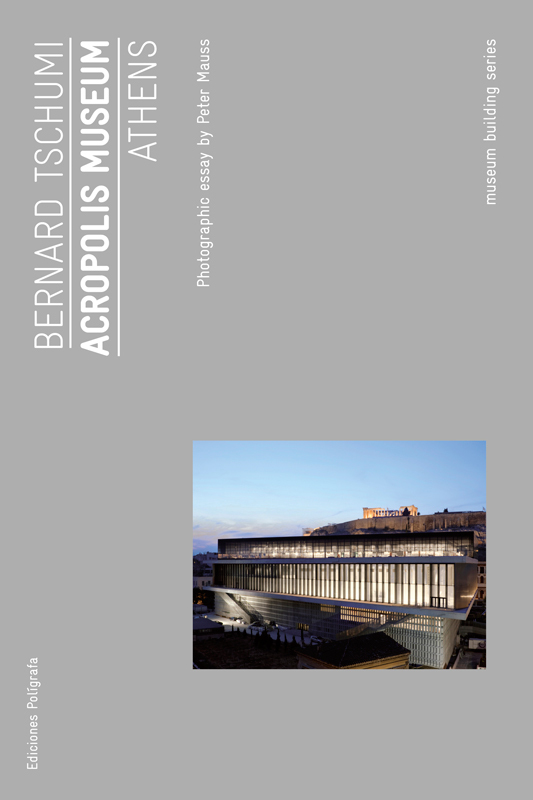 “The design was chosen for its simple,clear,and beautiful solution that is in accord with the beauty and classical simplicity of the Museum's unique exhibits and that ensures a museological and architectural experience that is relevant today and for the foreseeable future,”stated Professor Dimitrios Pandermalis, President of the Organization for the Construction of the New Acropolis Museum and author of presentation of this volume. 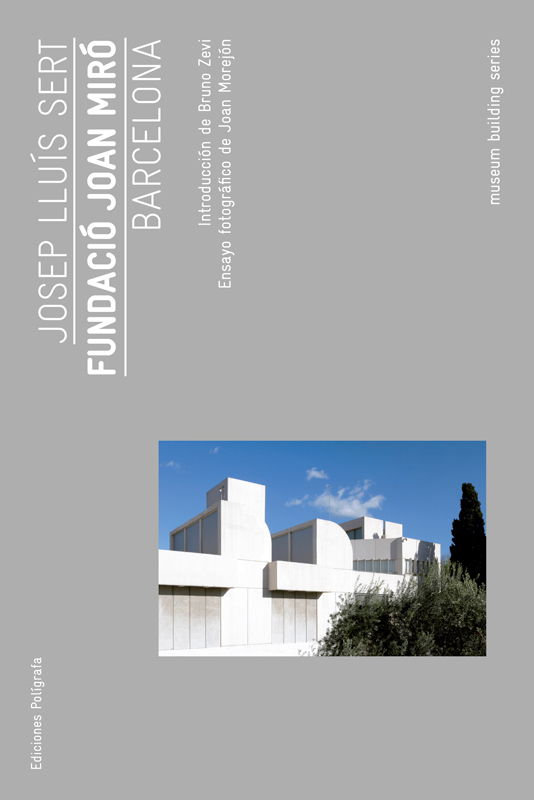 The Joan Miró Foundation was the first public institution set up in Barcelona to focus entirely on contemporary art.Joan Miró and Josep Lluís Sert––its designer––,a founder member of GATCPAC (a leading group in the introduction of the Modern architecture in Catalonia),had first met in 1932 and became close friends working both for the Spanish (Republican) Pavilion at the Paris World Fair in 1937.After the first big retrospective of the work of Joan Miró in Barcelona (1968),the artist had decided to set up a building to make his work accessible to the public on a permanent basis.Sert was commissioned,and created an open-plan structure where the interior space communicated with the exterior,producing a perfect balance between architecture and landscape.From these dates,the Foundation was expanded two times,and the architect commissioned to carry out this task was Jaume Freixa, a pupil of Sert's who had worked with him for eleven years at Harvard and had played an active part in the creation of the Foundation. 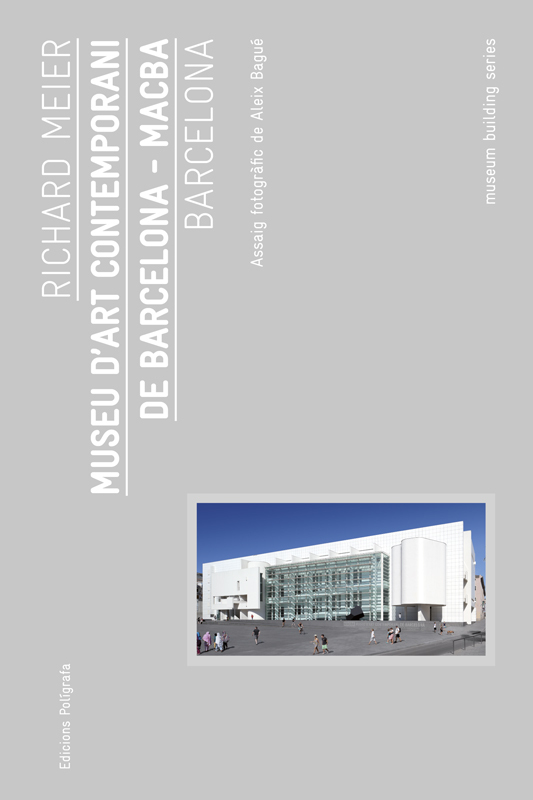 Located in the rundown district of the Raval, the museum of contemporary art of Barcelona creates a dialogue between the quarter’s historic urban fabric and contemporary art. 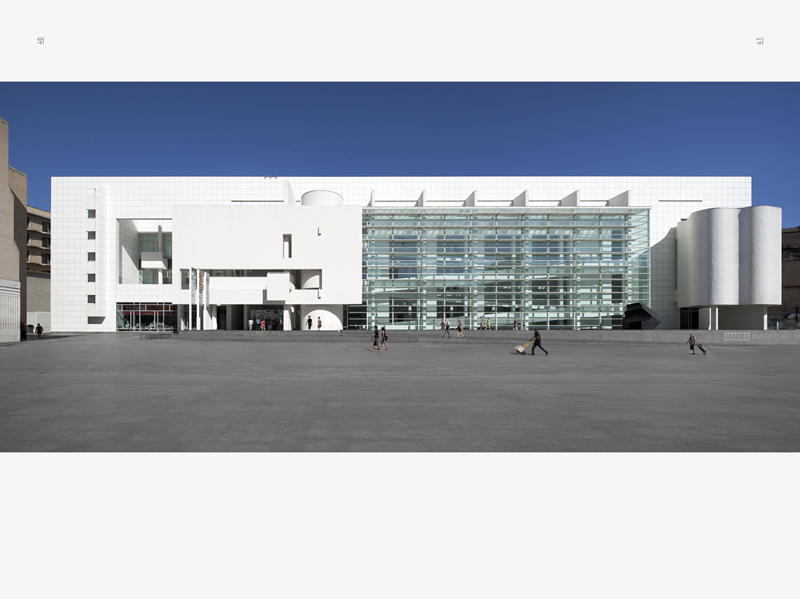 The labyrinthine nature of the pre-existing streets in the district is reflected in the building’s organization, most notably in the main entrance. 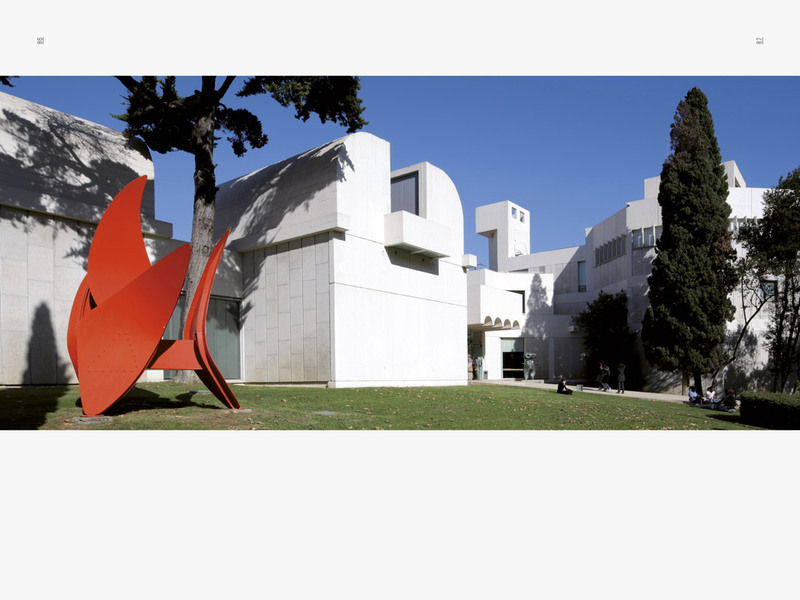 A pedestrian passageway runs parallel from the museum’s back garden to a newly created square in front of the museum, known as the Plaça dels Àngels, and links to a pedestrian network running throughout the old city. 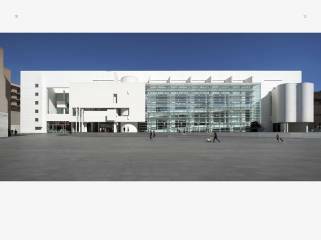 And the gentle curve of this thoroughfare underscores the centrifugal movement of the cylindrical lobby and describes a fifth facade, connecting the geometries of the museum to an urban context characterized by skewed intersections and the domes of ancient churches. 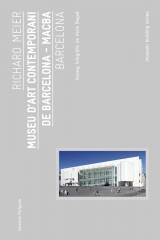 As befits an institution devoted to modern and contemporary art, the striking contemporaneity of the museum’s architecture fuses with the accumulated history of the surroundings.